The members of BTS have pulled a cute April Fool's prank on their Twitter followers. 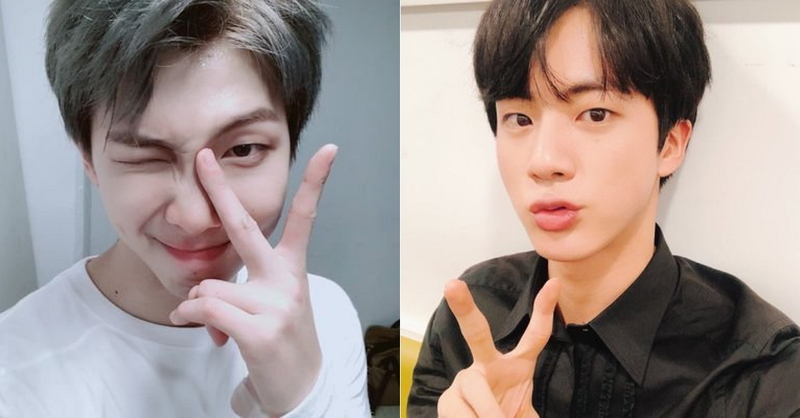 On April 1 KST, BTS tweeted that RM and Jin are in a relationship. While the tweet even leads to a link to an article, the linked article actually isn't real. Which BTS members do you think pulled this joke on fans? As the said tweet is hashtagged #JIMIN #ILoveYou, it is surmised that Jimin is responsible for the April Fool's Twitter prank. Another member followed up on the prank, and tweeted that "Park Jimin made me do this. BTS created Si-hyuk. Thank you!" Bang Si-hyuk is the producer of BTS and the BTS members are poking fun by saying it's the other way around. BTS tweeted out a total of 18 links on April Fool's Day.